Most bespoke tailors offer a made to measure (MTM) option but what is the actual difference between bespoke and MTM? MTM costs significantly less than full bespoke – this much is clear, but are you getting a significantly lesser quality suit if you opt for MTM? Choose the colour, weight & pattern of cloth from the hundreds of high quality cloth swatches on a tailor’s shelves. A second fitting where you try on the finished suit. The major difference between MTM and Bespoke is that with MTM, the suit cloth is cut to a particular tailor’s house style or ‘block’ and then adjusted for figuration and size. A bespoke suit on the other hand, will always follow an individual pattern – kept in the classic brown paper roll for future use – and due to the individual measurements, will take longer to cut, make and finish. More detailed measurements taken by the tailor for a more precise fit. A customer pattern is made for future reference. 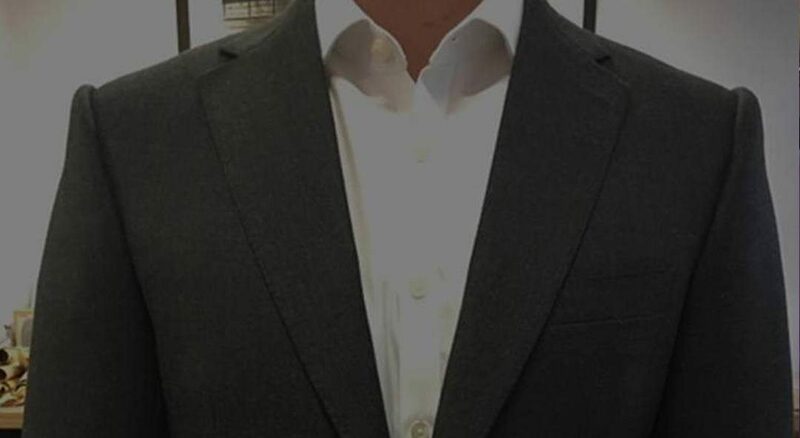 Three fittings – rough baste, pocket baste then finished suit. With the difference between MTM and Bespoke being this subtle, it’s no surprise that MTM is a very popular option, bearing in mind it costs significantly less than a bespoke suit (as it takes up less tailoring time) and it can be finished faster (a particular advantage for a groom if the wedding plans are running behind schedule). For some customers, only bespoke will do, but whichever your choice, MTM or Bespoke, you’ll end up with a very special, individual suit that will be admired and worn for years to come.